Apolipoprotein E (Apo E) epsilon 4 allele is a risk factor for early and late onset Alzheimer’s disease. This prompted us to examine other neurophyschiatric phenotypes. Epsilon 4 allele was significantly enriched in Lewy body dementia (N = 39) but not in Parkinson’s disease (n = 50) or Schizophrenia (n = 175) compared to aged non-demented controls (n = 47) and the Scottish population (n = 400). 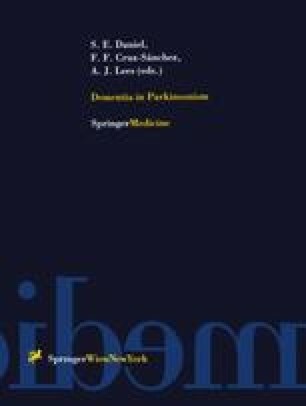 We conclude that Lewy body disease should be regarded as a variant of Alzheimer’s but not Parkinson’s disease.